Many Mac users who are attempting to download macOS High Sierra from the Mac App Store will find that a small 19 MB version of “Install macOS High Sierra.app” downloads to the /Applications folder of the target Mac, rather than the complete 5.2 GB Installer application for macOS High Sierra. This is annoying because it prevents a single download from being used on multiple computers, plus the small installer requires an internet connection during usage to download the rest of the High Sierra update files. 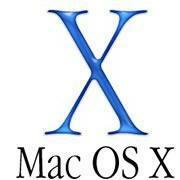 Additionally, the tiny 19 MB incomplete installer prevents users from being able to create a macOS High Sierra USB installer drive or other custom update options available through the command line, like skipping the APFS update .This tutorial will show you a workaround trick that allows Mac users to download the full macOS High Sierra “Install macOS High Sierra.app” file at 5.2 GB with the complete installer tool set and all dmg files and associated Install macOS High Sierra.app/Contents/Resources/ tools, rather than the tiny incomplete truncated installer at 19 MB. Warning: this method relies on a third party tool from an unverified third party source, if you are not comfortable with using unvetted and unverified software, and if you do not understand the risks associated with using potentially dubious software, do not follow this process. This is for advanced users only. You can confirm that you have the complete Install macOS High Sierra.app application by getting info on the file, the complete installer should be around 5.2 GB rather than the tiny 19 MB incomplete installer that requires additional downloads. 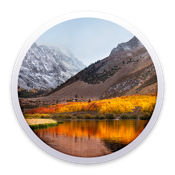 Why do some users get a small incomplete version of macOS High Sierra installer from the App Store? This is not yet known, but it happens with the final version of macOS High Sierra installer as well as with some of the beta versions. It is unclear why some users will get a 19MB version of “Install macOS High Sierra.app” when downloaded from the App Store, while others users will get the complete 5.2GB version of “Install macOS High Sierra.app” when downloading from the App Store. Interestingly, once a user ends up with the 19 MB version of the incomplete installer, that seems to be the only thing that will download for that user regardless of how many times the incomplete installer app is deleted and re downloaded. The installer size and completeness inconsistency appears random, and has no relation to disk space, beta enrollment, software catalog, and other theories seem to be incorrect as well. 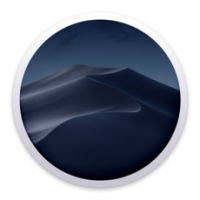 Do you know of another method to download the complete macOS High Sierra installer application rathe than the tiny incomplete installer that arrives for some users on the Mac App Store? Let us know in the comments! This update is recommended for all Macs running macOS High Sierra 10.13.1. For all other systems running macOS High Sierra, please install 10.13.2 via Mac App Store Software Updates. Easily organize, edit and view your photos in Photos. • Make short videos from your Live Photos using new Loop and Bounce effects. • Easily locate and organize your content with the new sidebar. • Conveniently access all of your editing tools in the redesigned Edit View. • Fine-tune color and contrast in your photos with new Curves and Selective Color tools. • Access third-party apps directly from Photos and save the edited images back to your Photos library. • Rediscover images from your library with new Memories themes including pets, weddings, outdoor activities, and more. • Create printed photo products and more using new third-party project extensions. Improve your browsing experience with Safari. • Stop web video with audio from playing automatically. • Prevent websites and ad networks from tracking your browsing with Intelligent Tracking Prevention. • Customize your browsing experience with new per-site settings for Reader, page zoom, content blockers, and more. Enjoy refinements in Mail. • Instantly find the messages most relevant to your search using Top Hits. • Use Split View when composing new email in full screen. • Save space on your Mac with compressed messages. Look up flight information in Spotlight. • Check the status of a flight by typing the airline and flight number in the Spotlight search field. Collect your thoughts with Notes. • Organize your information using configurable tables. • Pin your favorite notes so they’re always at the top of the list. Capture a moment in FaceTime. • Take a Live Photo during a video call to any supported Mac, iPhone, or iPad. Get music suggestions from a more natural-sounding Siri. • Hear more variations in intonation, emphasis, and tempo when Siri responds to you. • Enjoy personalized music recommendations from Siri when you listen to Apple Music. Copy and paste files from one Mac to another with Universal Clipboard. • Copy and paste files between your Macs using standard copy and paste commands. Safely store your family data in iCloud. • Share a single iCloud storage plan with your family and keep everyone’s data backed up and safely stored. • Set up your family with a few clicks and add capabilities when needed. Work together with iCloud Drive. • Share and work on any file in iCloud Drive with other people so it is always be up to date with the latest edits. Upgrade the performance, reliability, and security of your Mac with the new Apple File System. • Update to a new file system architecture designed for all-flash Macs. • Experience greater responsiveness when performing common tasks like duplicating a file and finding the size of a folder. • Enjoy faster and more reliable backups. • Protect your entire drive with built-in native encryption for greater security. Step up to the new standard for 4K video: HEVC. • Create and watch high-resolution video with High Efficiency Video Coding (HEVC), which uses up to 40 percent less space without sacrificing quality. Enjoy next-generation graphics and computation with Metal 2. • Get the most out of the graphics capabilities of your Mac with the new and improved version of Metal. • Discover immersive tools for content creation with support for virtual reality. • Build state-of-the-art apps with features that accelerate common machine learning functions.